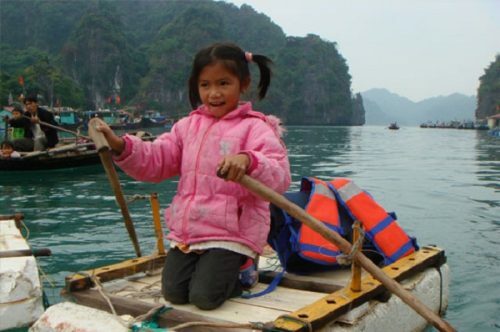 Home / Blog / What to buy as souvenirs in Halong? 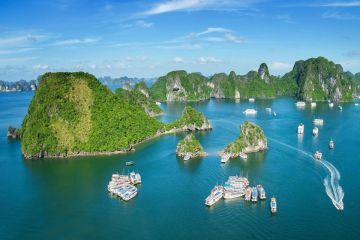 Whenever paying a visit to charming landscape, a remote area or a historical heritage site in Vietnam, you will have no difficulty recognizing that it always goes with its special feature relating to local souvenirs or mouthwatering food specialties so that once leaving the place, you will remind every single minute that you have experienced there through these special things. 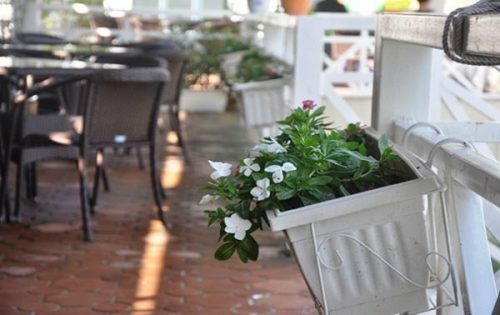 Moreover, letting your friends and relatives to envision what you have experienced by some special gifts bought in those destinations is also really important. It is said that delicious dried cuttlefish must usually have bright pink color, straight and thick trunk and not causing wet touching. Tail should be thin and tight to the body while beard remains and dried cuttlefish head is attached to the body. 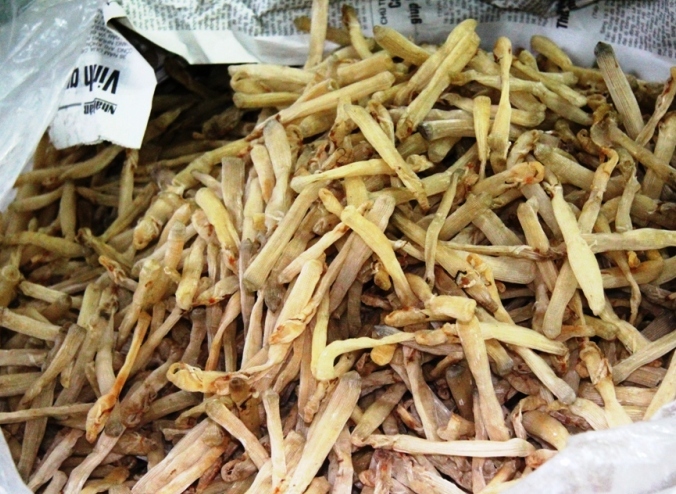 It costs roughly 500.000 VND ($22) for smaller dried cuttlefish (14-15 cuttlefish per kilogram). It costs approximately 600.000 VND ($26) for medium dried cuttlefish (20-25 centimeters in length and 8-9 cuttlefish per kilogram). 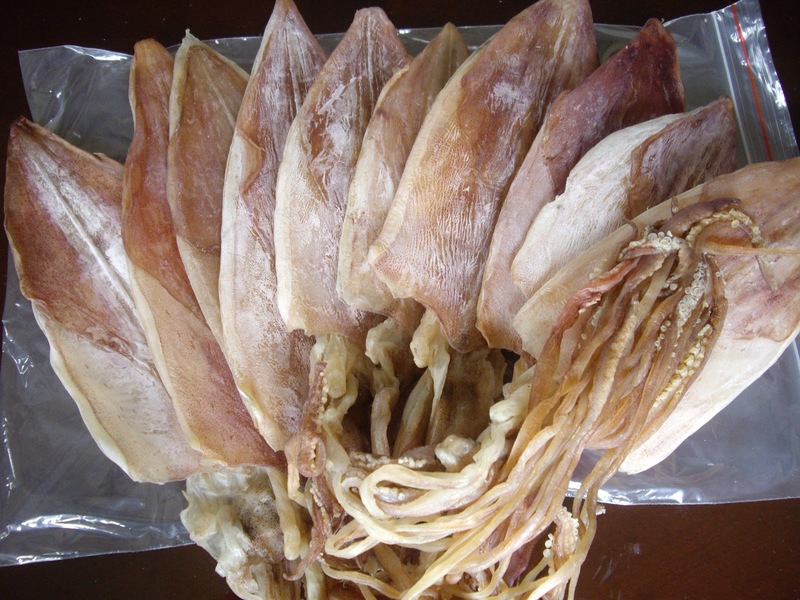 It costs you approximately 700.000 VND ($30) for large dried cuttlefish (30-35 centimeters in length and 6-7 cuttlefish per kilogram). Having a distinct aroma, Sa Sung, which ranges from 7 centimeters to 15 centimeters with quite white and thick trunk, is the best one. About 6-7 times more than fried cuttlefish, the price of the fried Sa Sung starts at 4-5 million VND ($174-$217) per kilogram. With about 30-32 pieces, each kilogram costs the common price ranging from 330.000 VND ($14) to 400.000 VND ($17). 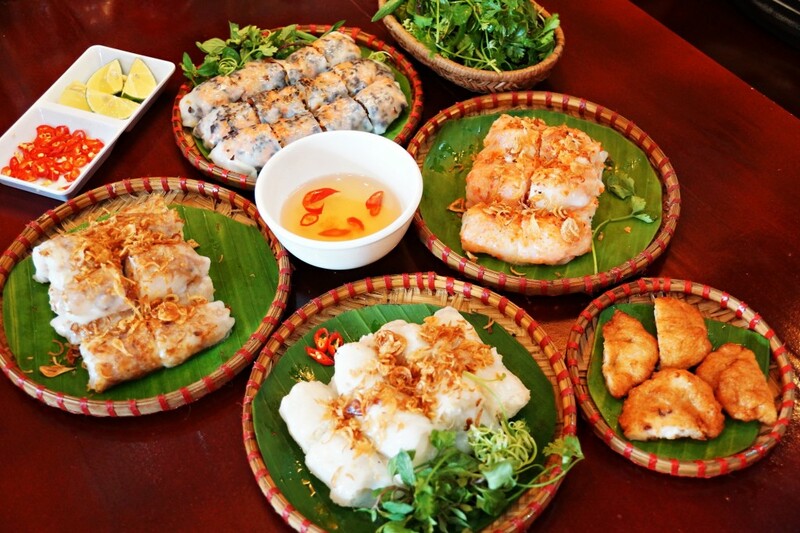 Hoai Phuong shop (Halong Market 1), Kim Thoa and La Hien Cha Muc Shop (Cai Dam market) are some places to buy this specialty. To make a perfect dish, you can combine Cha Muc which has strong taste, fragrant aroma after having just been deep fried to have yellow color, with sticky rice or Banh Cuon (stuffed pancake). Specializing in making Cha Muc Banh Cuon, the street next to Bach Dang Movie Theater has become popular with not only locals but also travelers in Halong City. At some souvenir shops at Halong night market, you can effortlessly find the souvenirs often made from coal and marine creatures. 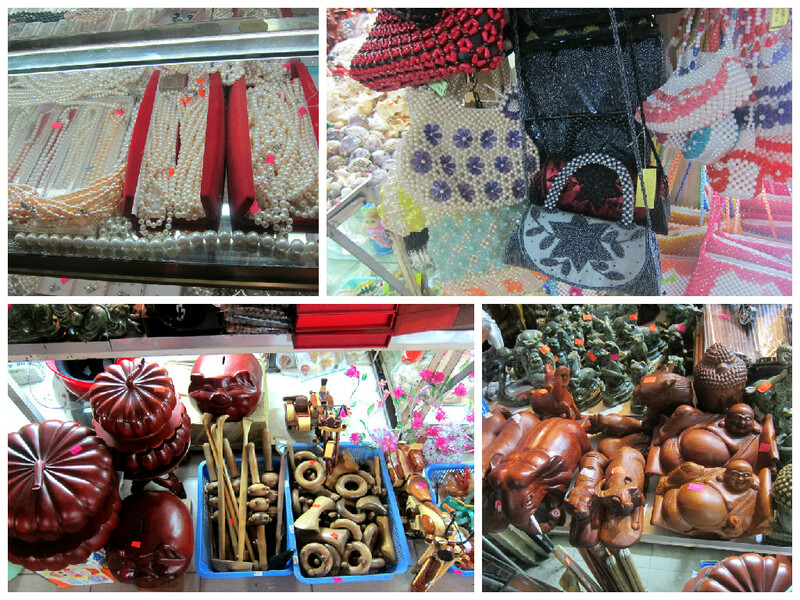 The souvenirs made from snails, shells, pearls and wood are often more expensive. However, bargaining is accepted here. When bargaining, in fine art shop, you can lower about 60 percent to the products and down to 50 percent of the given price at first the price of children toys and clothes. Before making up your mind to buy, it is best if you can check the price in several shops.